The debate over the ethics of whether soft drink manufacturers such as Coca-Cola and Pepsi should market bottled water has been going on for a while. The debate shows no signs of ending anytime soon. Indeed, if trends are anything to go by it looks like it will only heat up in the years ahead. And inflame emotions and passions. On one side are a number of the world’s most powerful corporations which seek to maintain their market share and profitability. On the other side are a gaggle of environmentalists, activists, government bodies and sundry others. It is well-known that consumption of aerated drinks has been in decline in the US and Europe for years now. The decline has only accelerated in recent years. Imagine for a moment that you’re the CEO of a large publicly-listed company such as Coca-Cola or Pepsi. You have been seeing the sales numbers for a while now and they don’t look very pretty. Average annual sales of your flagship cola brand have been dropping by 2-3% every year in the US and Europe. There is a rising tide of concern amongst consumers about the health benefits of consuming aerated drinks and no amount of communication can seem to convince them otherwise. So, what would any savvy bunch of marketers – and Coca Cola and Pepsi certainly qualify to be pre-eminent ones – do to safeguard volumes? This is the classical response. Try and increase consumption amongst your core audience, try and find new audiences for the product or even highlight specific occasions such as festivals or events to increase consumption. Variants are another time-tested strategy. Both Coke and Pepsi have introduced dozens of variants – Diet Coke, Coke Zero, Caffeine-Free Diet Pepsi and so on. Both Coke and Pepsi have expanded into international markets decades ago. It appears that there are few countries left to explore! Brands can explore either related or unrelated diversifications. Unlike the rest of the world where availability of quality drinking water is often a huge issue, consumers in the US and Europe have no such fears. Coke, Pepsi, Danone and Nestle are amongst the numerous multi-national corporations that have managed to build multi-billion dollar businesses in water. But it is not just the developing world that contributes to their overall revenue. What these companies have been able to do successfuly is to establish their brands in their home countries. To persuade consumers that there is a need for bottled water when pure water is available from the tap makes for a classic marketing study! Today, bottled water with all its variants is a nearly $12-13 billion dollar business in the US alone. It is estimated that the world collectively spends nearly $100 billion a year on bottled water. 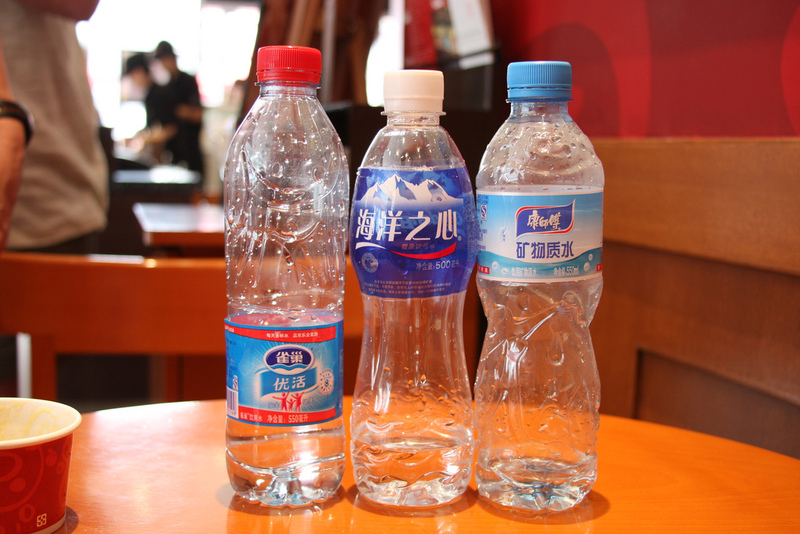 The big challenge for the bottled water industry is of course the continued availability of good ground water sources. Several parts of the world are experiencing water scarcity and depleting ground water resources. One estimate suggests that despite its growing size the total annual volume of bottled water sold in the US would be equivalent to what public water utilities supply in just 9 hours! It is increasingly being said that the next major world war will be fought over water. There is a race to find new methods of quenching the world’s increasing thirst. A couple of years ago, the head of Nestle stirred a controversy when he made the claim that water is not a fundamental human right. By that token, the time is not far away when the major corporations decide that the air we breathe is not a human right either. The future looks very bleak indeed if multi-national corporations are going to be allowed to do as they please with the world’s natural resources.